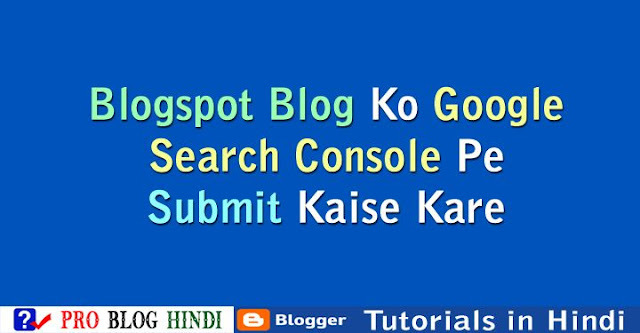 How To Add Blogger To Google Webmaster Tools Full Tutorial with Pictures in Hindi : Blogspot blog ka design aur basic settings complete hone ke baad jab aapko lage ke aapka blog ab puri tarah se ready hai, tab aap apne blog google search console me submit kar sakte hai. 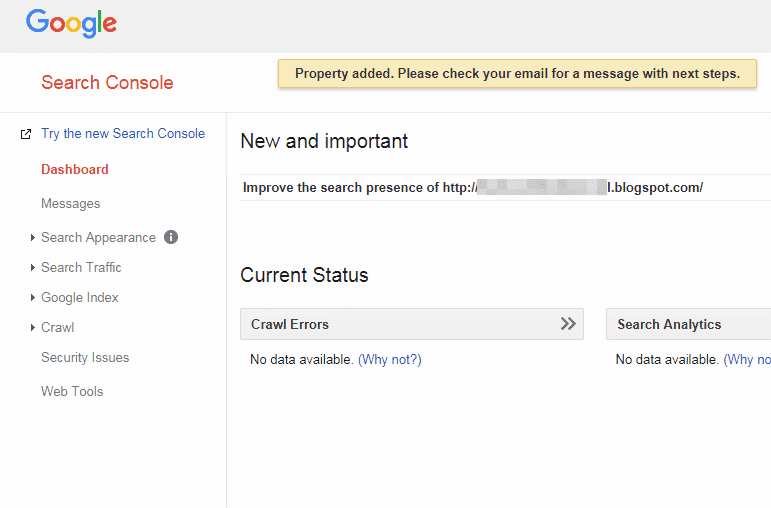 Is post me ham blogspot blog ko google search console pe submit kaise karte hai uske bare me detail me janenge. Step 1 : Sabse pahle apne web browser me Google Search Console open kare. Step 2 : Ab apne blog ka url Website section me Type kare. Step 3 : Ab ADD A PROPERTY par click kare. Step 4 : Ab aapko Property added. Please check your email for a message with next steps ye message display hoga. Is method ko complete karne par aapka blog google search console me add ho jayega. Blogspot Blog Ko Google Search Console Pe Submit Kaise Kare is Blogger Tutorial in Hindi ko pura padhne ke liye aap ka dhanyawad. agar aapka blogspot, blogging and seo se related koi quistion hai to aap niche comment box me puch sakte hai. 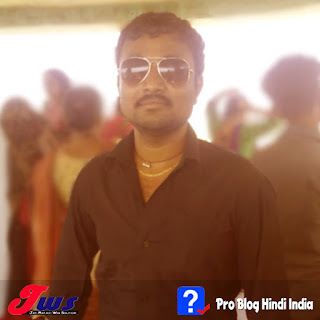 Pro Blog Hindi ke sare latest updates fast pane ke liye aap hamare blog ko subscribe kare ya facebook page par follow kar sakte hai.